It’s that time of year again! Warmer weather, chirping birds and best of all, beautiful blooms! With California’s abundance of gorgeous flowers, our florists continue to showcase their skills with amazing arrangements, bouquets and more. To help you get ready for spring, check out these California grown flowers – there’s one for every type of home décor! When you think of spring, tulips and orchids usually come to mind! 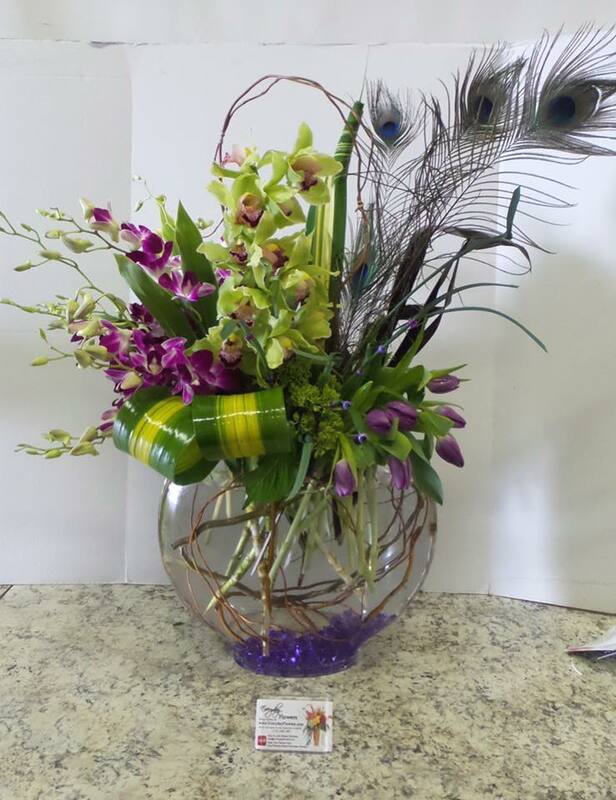 This arrangement from Avante Gardens Florist has the best of both worlds. Whether you’re congratulating someone or sending well wishes, your friends and family will love receiving blooms like these. Could these beauties from Ames Haus be more stunning? 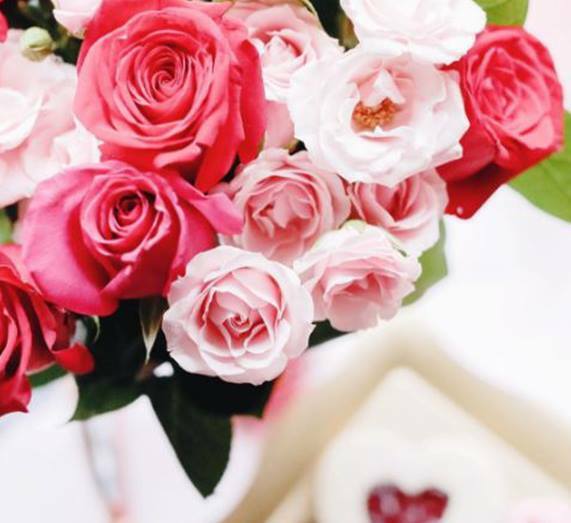 From canterbury bells to roses to dahlias, the bright reds, pinks and purple colors really pop and are sure to brighten up your home! 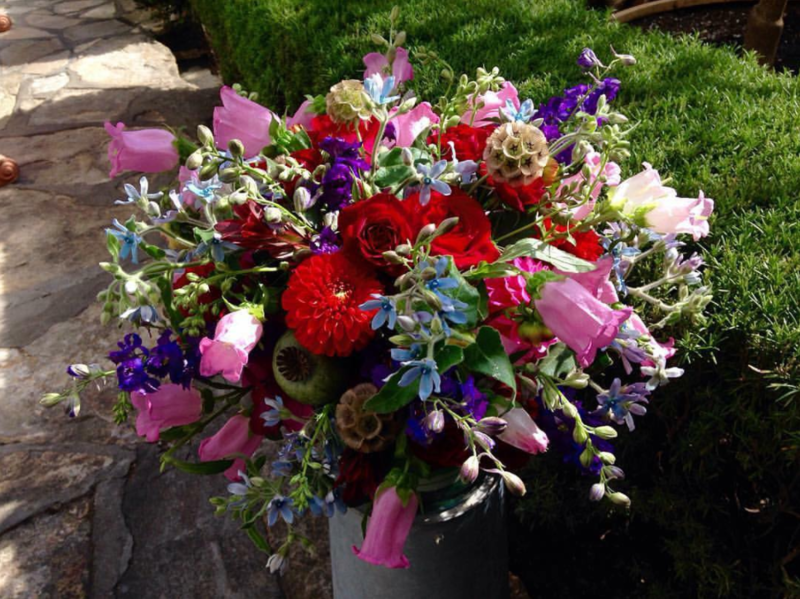 It doesn’t get much brighter than this lively arrangement created by Jasmine Creek Florist! 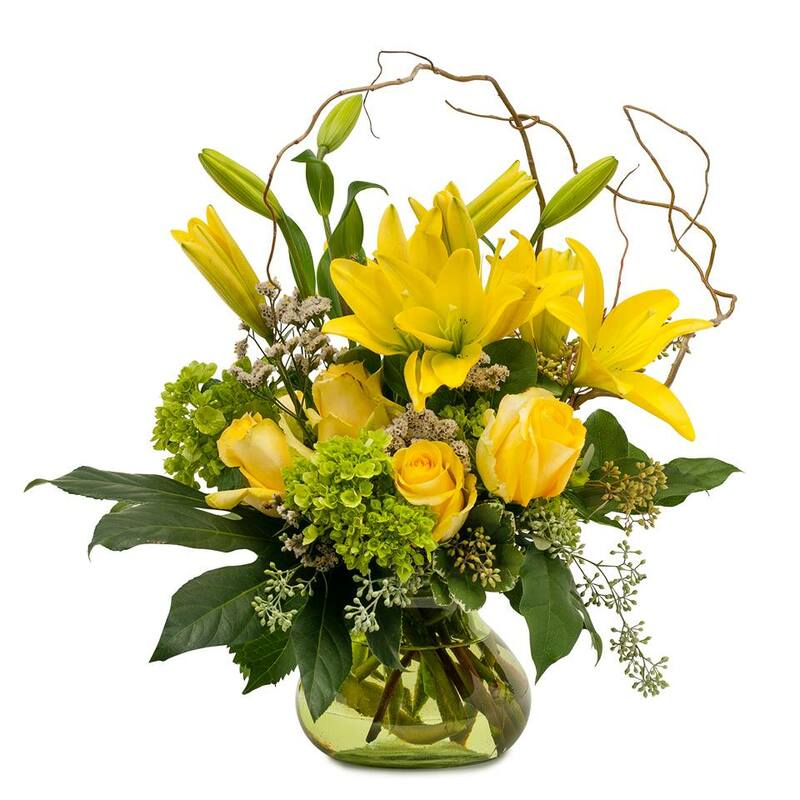 The stunning yellow roses and lilies paired with the elegant greenery are sure to brighten anyone’s day. With so many pretty shades of blush, pink roses are a simple way to show gratitude, grace and admiration. This bouquet from FTD Flowers is the perfect choice for a new mom or a great friend that you love! Getting married during the spring season? Fun and colorful wedding bouquets can leave quite an impression! 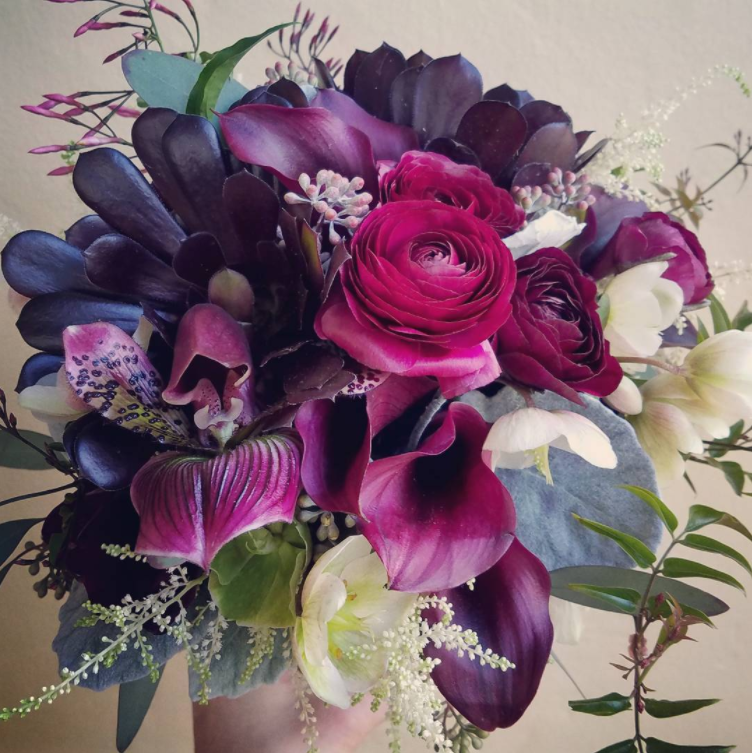 Created by the talented Katharina Stuart, this bouquet includes ranunculas that will make bride’s heart flutter. Whatever type of arrangement or bouquet you need, our talented florists will have the perfect one for any occasion. From our CSFA members, California flower farmers, wholesalers and retailers, we hope you have a happy spring!